I am wearing the costume, I am a nurse educator and spent over 10 hours in this costume visiting with patients, family members and staff. I built my costume with project foam, fur, paint, and lots of glue. With the platform shoes (built with kids mats foam) I was nearly 7 feet tall. 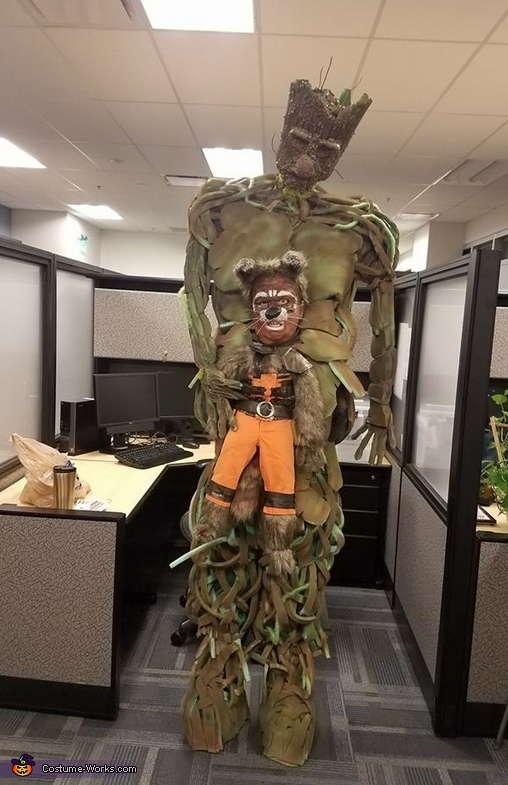 I had a speaker in Groots head that screamed "I am Groot."